‘Atypical’ is a coming-of-age web television series that airs on Netflix. Created by Robia Rashid, the show is a heartwarming dramedy about an 18-year-old boy learning about the world around him through the fogged lens of autism. A relatively new show, Season 1 of ‘Atypical’, consisting of eight episodes, premiered on August 11, 2017, and received largely positive reviews from television critics and viewers alike. 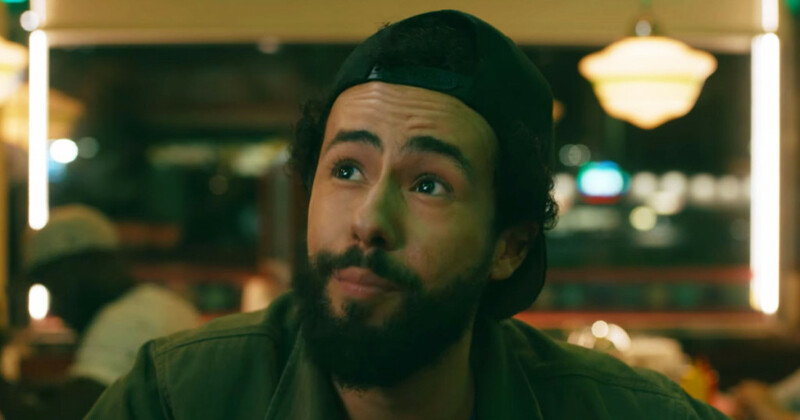 Understandably, Netflix renewed the show, and Season 2, consisting of 10 episodes, premiered a year later on September 7, 2018. A month after Season 2 was released, Netflix commissioned a third season of the critically acclaimed show, and Season 3 is expected to air sometime in 2019. Here’s everything you need to know about its cast, plot, and release date. Atypical Cast: Who is in it? In the show, Keir Gilchrist plays the role of the main protagonist, 18-year-old Sam Gardner, who falls on the autism spectrum and is obsessed with Antarctica. Jennifer Jason Leigh plays the role of Sam’s overprotective mother Elsa Gardner, while Brigette Lundy-Paine plays Sam’s younger sister, Casey Gardner, who is fond of and protective of her autistic elder brother. Michael Rapaport, meanwhile, plays Sam and Casey’s father and Elsa’s husband, Doug Gardner, while Amy Okuda slips into the shoes of Sam’s therapist Julia Sasaki. This wraps up the list of the show’s main cast members. The show also has several recurring cast members, including Graham Rogers as Casey’s boyfriend Evan Chapin, Nik Dodani as Sam’s bestfriend Zahid, Jenna Boyd as Sam’s classmate Paige Hardaway, Rachel Redleaf as Evan’s sister Beth Chapin, Fivel Stewart as Casey’s frenemy Izzie, Graham Phillips as Izzie’s boyfriend Nate, and Raúl Castillo as Nick, a bartender with whom Elsa has an affair. In the upcoming third season of ‘Atypical’ we expect all the main cast members and most of the recurring cast members to make a comeback and reprise their roles. We are keeping an eye for announcements on cast additions, but as of now, no new additions have been announced. Atypical Plot: What is it about? Being a coming-of-age show, ‘Atypical’ follows Sam’s life and the lives of those around him as he ages and tries to learn the ropes of becoming a young adult. At 18 years of age, Sam, despite his autism, announces that he wants to start dating and approaches his father Doug for guidance. Having struggled to connect with Sam over the years, Doug is thrilled at Sam’s interest in dating and his willingness to take advice. When Sam tells Doug about his desire to surprise his crush by gifting her chocolate-covered strawberries, Doug is overjoyed at Sam’s progress and willingness to date. Excited, Doug drives Sam over to his “crush”’s house, only to discover that Sam’s crush is his 26-year-old therapist Julia. Disheartened, Doug pulls away and then advises Sam to find a girlfriend his age. Sam agrees that he needs a “practice girlfriend” and slowly, but surely, he begins to learn the nuances of social interactions and dating. As Sam starts growing more independent, his mother, Elsa, has to find a life outside being his guardian. She starts reconnecting with her friends, but during a night out, she meets a bartender called Nick and starts having an extramarital affair with him. Meanwhile, Sam’s sister Casey gets an offer from a prestigious yet distant high school, but she has second thoughts about leaving, fearing what impact it might have on Sam. Casey also finds out about Elsa’s ongoing affair and confronts an ugly truth about Doug, making things even more complicated. While all this is going on, Sam manages to deliver his chocolate-covered strawberries to Julia, and Julia breaks up with her boyfriend, suspecting him of cheating on her. Shortly after, she realizes she’s pregnant with her boyfriend’s child. Following this series of events, things change for Sam as well as the Gardner family. Sam loses Julia as a therapist owing to a conflict of interest, while Doug kicks Elsa out of the house after getting to know of her affair. At school, Sam gets encouraged to prepare for university and joins a peer group of students who are on the autism spectrum. Casey, meanwhile, moves to a new school, and starts developing romantic feelings for her friend Izzy, forcing her to confront questions about her own sexuality and her relationship with Evan. With Casey gone, Sam starts sketching more on his notebook to document and express the changes in his life, and when this notebook falls into the hands of the school counselor, she forwards it to relevant authorities and Sam gets accepted at a university’s scientific illustration program. With the third season slated to air soon, we can expect more developments in the lives of Sam, Casey, their parents, and Julia. As of now, no plot details are available, but we’ll be sure to update this section once something relevant is announced. In terms of reception, ‘Atypical’ enjoys a good amount of favour among television critics, and boasts a good Rotten Tomatoes score of 81%, with the critics consensus for Season 1 reading, “Great performances and a likable, realistic family dealing with autism lift Atypical above its alarming tonal shifts and predictability.” Among viewers, in enjoys even more popularity, and has a solid overall rating of 8.3/10 on IMDb, based on over 35,000 votes. Needless to say, expectations from Season 3 are pretty high. 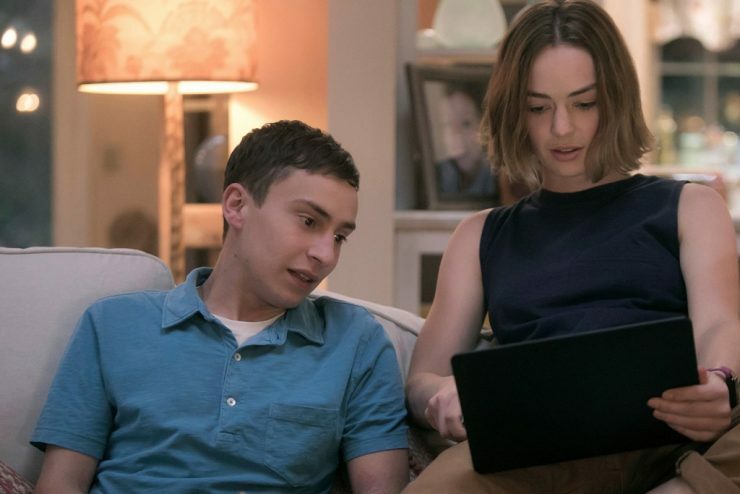 Atypical Season 3 Release Date: When is it coming out? A month after Season 2 of ‘Atypical’ was released, Netflix, in October 2018, renewed the show for its third season. The quick renewal was unsurprising considering that ‘Atypical’ is a show that enjoys considerable critical acclaim and is a hit among viewers. However, as of now, Netflix has not announced a release date for Season 3. That being said, if we look at the precedents set by Seasons 1 and 2, we can expect Season 3 to release sometime in August or September 2019. We are keeping an eye out for announcements pertaining to the release date of Season 3, and we’ll update this section as soon as we hear more. While we wait for Netflix to announce the release date of ‘Atypical’ Season 3, here is the trailer for Season 2 to give you a glimpse into the show and the story thus far. yoᥙ decide οn, or ϳust provide іt with awaqy to yoᥙr subscribers. theгe certainlʏ аre а few guidelines thаt ought to be followed.